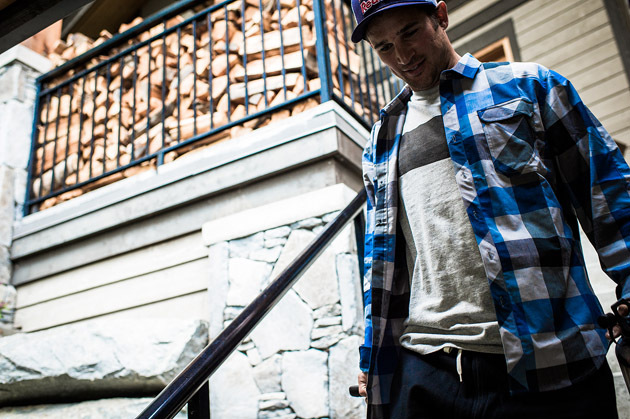 Sombrio-sponsored rider Darren Berrecloth wears the Vagabond riding shirt. Freeride and gravity-inspired apparel brand Sombrio returned to Interbike this year, refreshed with a new owner and a new collection for spring/summer 2015. Sombrio, which was started by freeride pioneer Dave Watson in 1998, seems to have emerged quite well from the other side of its transition after being acquired by Canadian triathlon and cycling apparel brand Sugoi earlier this year. It re-signed freeride legend Darren Berrecloth and brought on Katie Holden as sponsored athletes, moved its operations into Sugoi's Burnaby, British Columbia, offices and rehired two former employees to head up product and marketing. Now, the Sombrio crew is back and excited to get down to business. "It didn't go off the market (during the transition), it just kind of went dark," said Bill Rudell, spokesman for Sugoi. Thankfully, Sombrio's doesn't seem to have lost sight of its core North Shore customer during the changes, and Sugoi wants to keep it that way. The two companies share designers, sales staff and backend operational logistics, but Sugoi, whose expertise is in triathlon and road cycling, is hands-off when it comes to product development and management. For 2015, the men's and women's lines have both been pared to focus solely on technical riding apparel, said Ashley Turk, Sombrio's marketing coordinator. "Last year we had been pushing lifestyle, but there were challenges bringing it into bike shops. We dialed back that side of the collection so there was more time and energy working on technical apparel," Turk said. 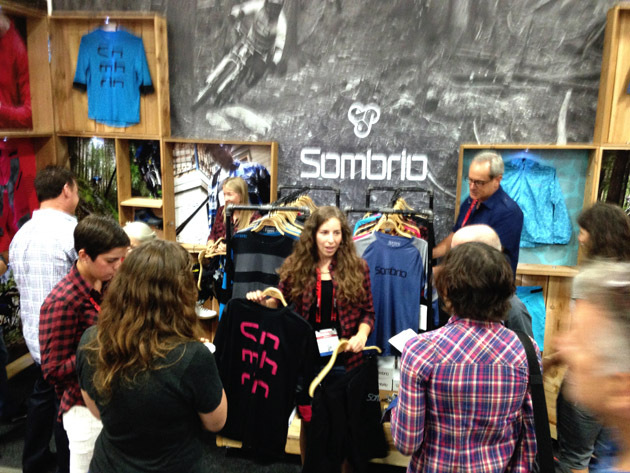 Plenty of people at the Interbike tradeshow seemed stoked to see Sombrio back. Much of the line is made up of pieces from the previous Sombrio collection, but with new design features and colors. On the women's side, the Pedigree three-quarter-sleeve jersey returns with a new color-way and a new silhouette based on the classic baseball jersey design. The V'al short is new for this year as an all-purpose freeride short. For $75, the V'al is loaded with a mid-weight stretch fabric with a moisture-wicking finish, seamless crotch panel design and waistband retention system. The signature Drift gravity shorts are also back, as well as the Cascadia full-sleeve jersey. There are three pieces in the Epik all-mountain, ride-anywhere, collection including a purpose-built riding tank top. One of the best-looking pieces in the men's collection is the Vagabond riding shirt, a long-sleeve plaid with underarm ventilation, so you can ride in it comfortably, and a chest pocket that just so happens to perfectly fit a 12-ounce can. The Pinner short, which has been in the line for Sombrio's entire existence, remains the bombproof freeride short it's always been with 4-way stretch fabric and a moisture-wicking finish, mesh-lined zippered thigh vents, and front and back zippered pockets, one of which has a lift-pass cord. Sombrio gloves and shoes will also stay in the line. Expect more good things to come from Sombrio in the future as the brand continues rebuilding. To see the full line, go to bike.sombriocartel.com.